Attorneys are charged with the important responsibility of carefully and competently representing the very best interests of their clients at all times. A license to practice law carries with it moral, ethical, and professional guidelines that must be strictly upheld at every turn. We hire attorneys to represent us for a variety of reasons. It could be to recover a much-needed settlement to pay for property damage, lost wages, pain and suffering, and physical therapy following an automobile accident. Or it could be to draft a will, review a contract, protect our good name in the event of an instance of defamation, or any number of a long list of other reasons. When your attorney either fails to act in your best interests or to exercise the same ordinary care and diligence as other attorneys in the same situation, that attorney has failed to live up to the standards expected of him. In these cases, if it can be proven that the client suffered harm, the Law Offices of Brumer & Brumer can file the appropriate civil action in a court of law on your behalf. Our law firm has been in business for more than a half-century and has the resources, knowledge, and capability to represent our clients in legal malpractice cases throughout South Florida. No law firm cares about its clients more than ours and we have a long history and track record to back up that assertion. Brumer & Brumer has been winning multi-million-dollar verdicts for its clients for decades and has been featured by numerous media outlets, both locally and nationally, for its zealous representation. 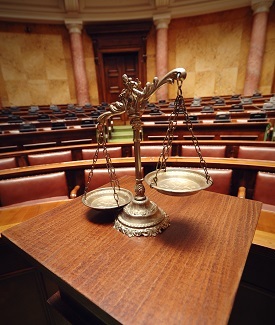 Legal malpractice can be categorized into either litigation malpractice or transactional malpractice. The former violation will have occurred if your lawyer grossly mishandled a legal matter that was either already in the court system or was destined to be filed with a clerk of courts. Most personal injury cases, for example, fall into this category. A few examples of mistakes that would fall under the umbrella of litigation malpractice are: missing a filing deadline; mismanagement of funds; improper evaluation of a case; dissemination of harmful legal advice; failure to properly and/or adequately prepare a case; failure to obtain informed consent; and acting with a conflict of interest. Transactional malpractice most occurs when the legal matter revolves around contracts, real estate transactions, purchase agreements, employment agreements, and business-related deals such as mergers and acquisitions. If you hired an attorney in the past and believe you have been victimized by any of the examples of legal malpractice outlined above, we encourage you to call our Miami law office to schedule a complimentary initial consultation so we can learn more about the facts of your case. We would be honored to speak with you and look forward to sharing with you all of your legal options.